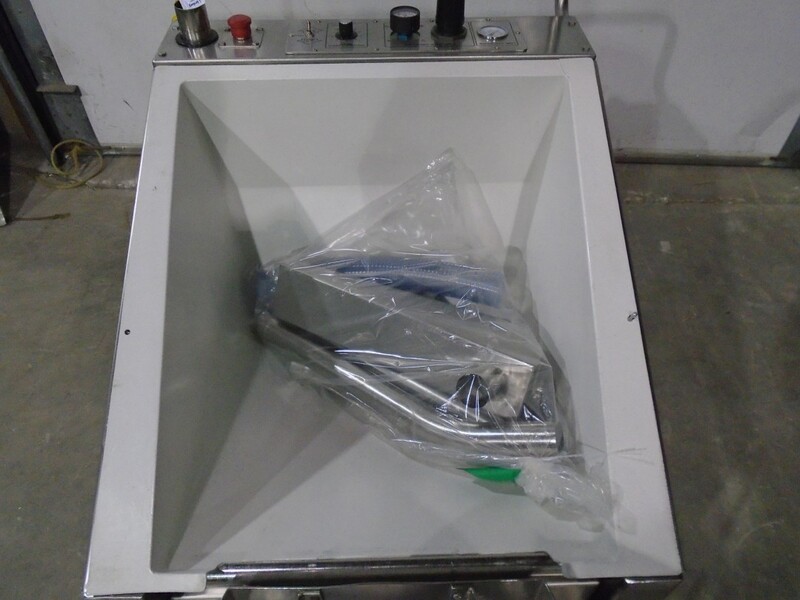 Used Kamflex Pneumatic Product Lift-Conveyor, Model Elevair 1000. Serial #97316. 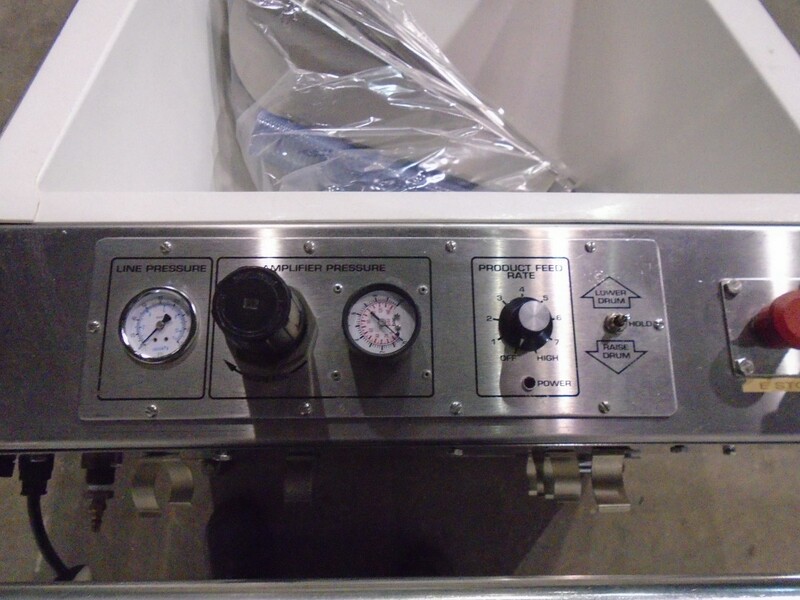 Unit is designed to transfer capsules, tablets and other small products up to pre-determined height. 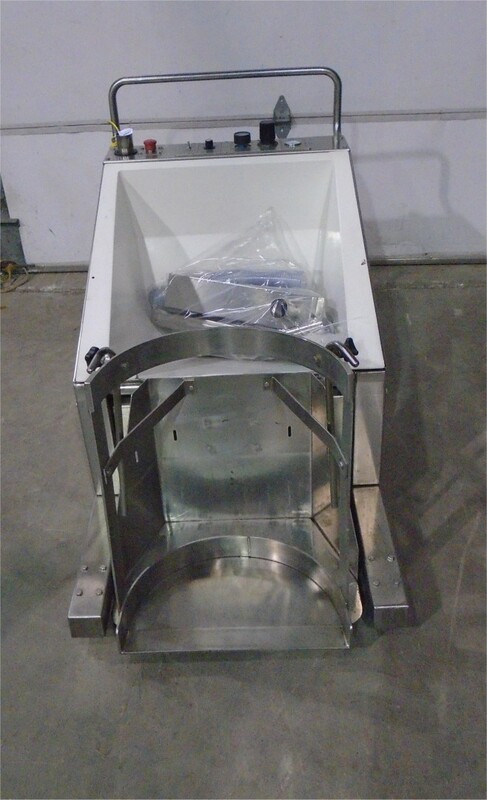 Unit is constructed in Stainless Steel and all contact parts meet FDA requirements for direct contact. Unit is portable on castors. Rated up to 25,000 pieces per minute, depending on product, size shape and weight. Drum Lift/Tilt Handling range: Barrels up to 22” Maximum Diameter to 30” Height. Comes complete with line and amplifier pressure gauges. Electrics: 1Ph/60Hz/115Volts and requires compressed air. Last used in a large pharmaceutical facility. Overall Dimensions: 56”L x 30”W x 38”H. Delivery: Immediate.